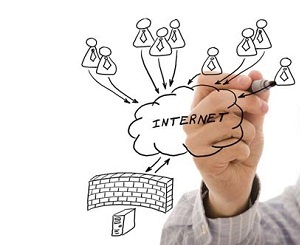 The need of efficient and cost effective communication is vital for business success and today more and more solutions depend of the networking infrastructure. User experience – How the employees will react if the network utilization will increase by 40% due to the new applications deployed? Security – How secure is my data in transit between HQ and branch offices over the network? Traffic engineering and advanced QoS – How the bandwidth is allocated to the applications? Resiliency of the design – How the infrastructures reacts to the loss or significant degradation of the performance of a part of the network? 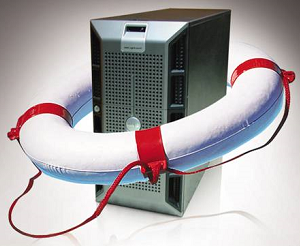 Fault tolerance – What is the impact of a hardware failure or software issue? 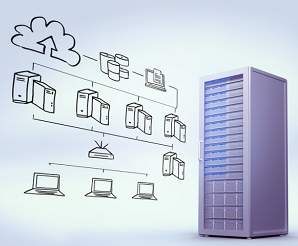 Flexibility – What is the time needed for the deployment of a new ERP at network level? Expandability – What is the impact, to the core infrastructure if tomorrow we want to open additional 10 branch offices, can it handle it without upgrade ? Manageability – How can we control the exponential growth of network complexity as our business is expanding? 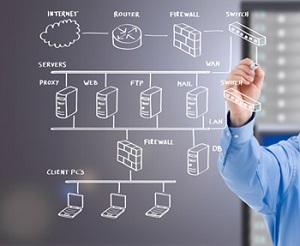 Computer networks do not mean only hardware equipment and software but a complete process of preparation, planning, design, implementation operation and optimization. Our highly experienced and certified team, together with our technology partners can create an optimal solution for your business case that can be tailor for your specific needs. 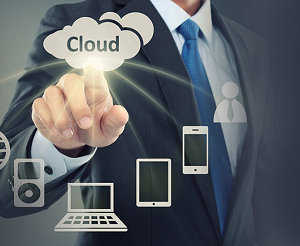 We recognize that success comes from integration of various architectures which are able to work together and we put all the top features from each major networking products vendor to work for our client’s needs. Prepare phase: Business agility starts with preparation: anticipating the broad vision, requirements, and technologies needed to build and sustain a competitive advantage. In the prepare phase, Kernel determines a business case and financial rationale to support the adoption of new technology. By carefully anticipating future needs and developing both a technology strategy and a high-level architecture to meet those needs, a business is better equipped to contain costs during deployment and operations. Plan phase: Successful technology deployment depends on an accurate assessment of the customer’s current network, security state, and overall readiness to support the proposed solution. In the plan phase, the customer aided by Kernel consultants ascertains whether it has adequate resources to manage a technology deployment project to completion and its network is not vulnerable to intruders and outside networks. Kernel then develops a detailed project plan to identify resources, potential difficulties, individual responsibilities, and critical tasks necessary to deliver the final project on time and on budget. Operate phase: Kernel pro-actively monitors the health and vital signs of the network to improve service quality; reduce disruptions; mitigate outages; and maintain high availability, reliability, and security. By providing an efficient framework and operational tools to respond to problems, the customer can avoid costly downtime and business interruption. 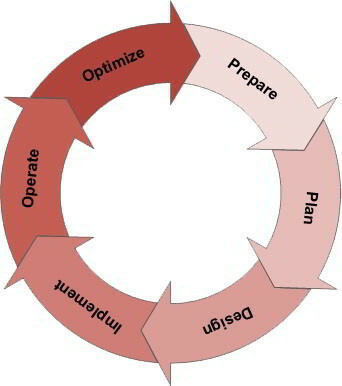 Optimize phase: A good business never stops looking for a competitive advantage. That is why continuous improvement is a mainstay of the network lifecycle. In the optimize phase, Kernel together with the customer is continually looking for ways to achieve operational excellence through improved performance, expanded services, and periodic reassessments of network value. As an organization looks to optimize its network and prepares to adapt to changing needs, the life-cycle begins anew—continually evolving the network and improving results.